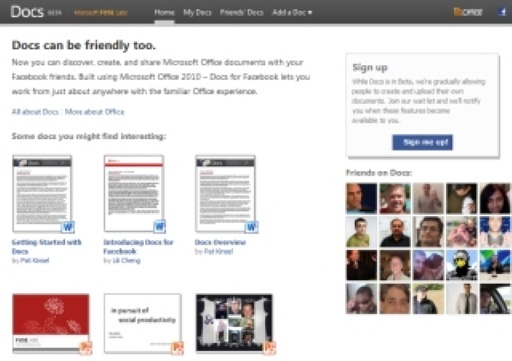 Docs.com, the application that lets you view, create and share Microsoft Office files on Facebook, has just been updated with new features aimed to improve document organization and discovery. According to a post on the Docs blog, you can now tag your documents with keywords, which will allow you to better find your files in a large list. Also new is an improved search feature which lets you drill-down into your friends’ public document lists or see related files. While in these lists, you can sort by date, title, and file type. And finally, from anywhere on Docs.com, you can now search for files by people, places or tags. These features for better organization and discovery will come in handy as September rolls around and kids, teens and college students head back to school. 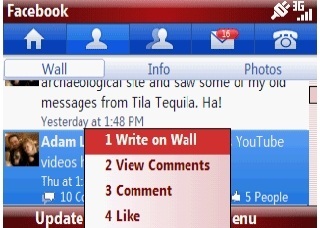 Since nearly everyone uses Facebook these days to communicate, having a central place to store, collaborate and share your files will be handy to students discussing homework assignments – especially those working on group projects, we’d imagine. But keep in mind that students aren’t the only ones who can benefit from Docs.com. On the app’s Facebook page, underneath the “upload a doc” section, there’s a separate section called “use Docs + Facebook.” It’s here that you’ll find some really interesting tools. The first, “Create a Resume,” automatically accesses your Facebook profile for your work and education history and contact information, and instantly creates a formatted and editable resume you can share with your friends. The “Chart Your Friends” application accesses your friends’ Facebook profile info to instantly create a chart of your friends’ details, including things like ages, gender mix, location, etc. And the third app, “Make a Photo Slideshow,” instantly creates a PowerPoint from your Facebook photos. Like all Docs.com docs, you can view or edit the file online or download it to your computer. All the docs created on Docs.com also offer a shortened URL perfect for tweeting, posting in a status update or sending via text message. If you’ve never used Docs.com yet, you can do so by adding the app here.